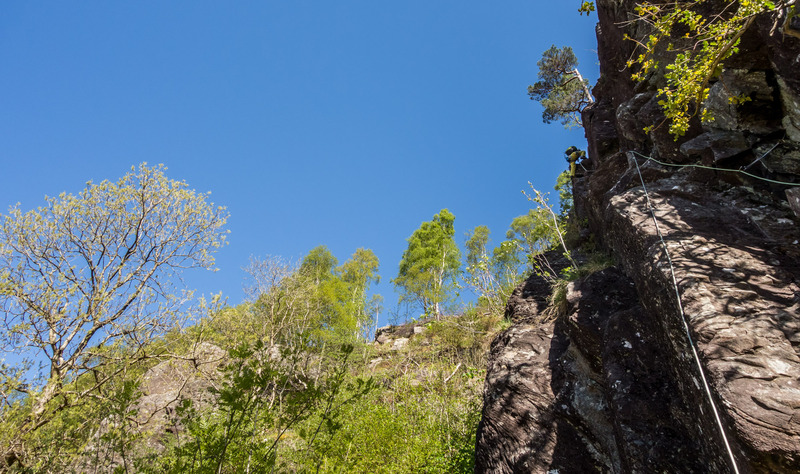 Spring is a great time to go climbing in Glen Nevis – warm dry rock and a distinct lack of midges! 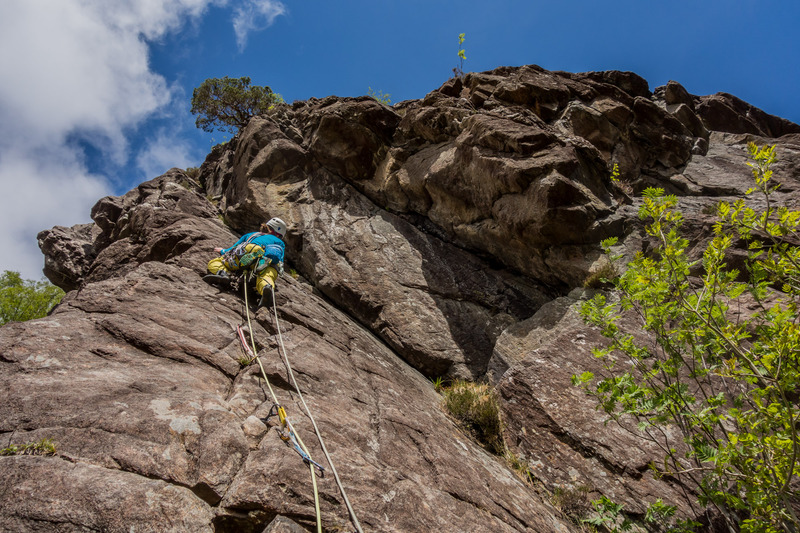 It turned out to be even hotter than expected, so we enjoyed two superb days of single and multipitch routes on a bit of a Polldubh grand tour. 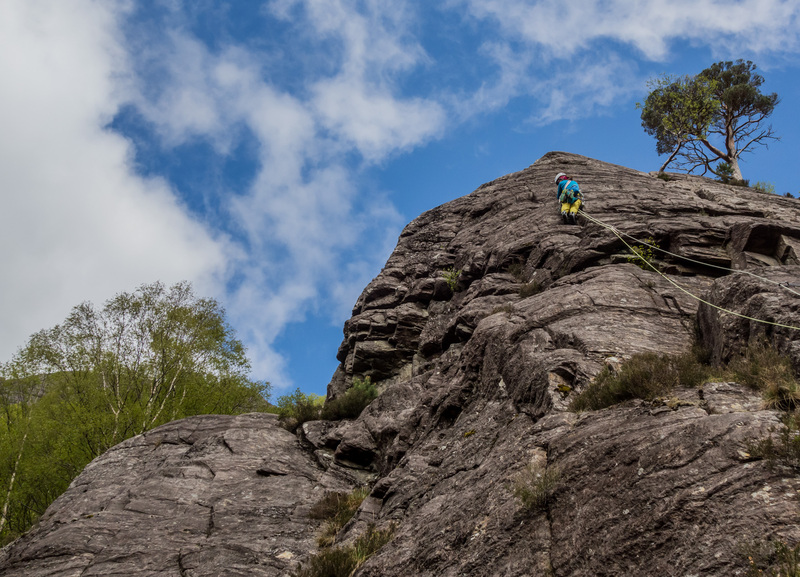 First up was Heatwave (S) on Cavalry Crack Buttress, a four pitch route which we used as an approach to Secretaries Buttress higher up the hillside. 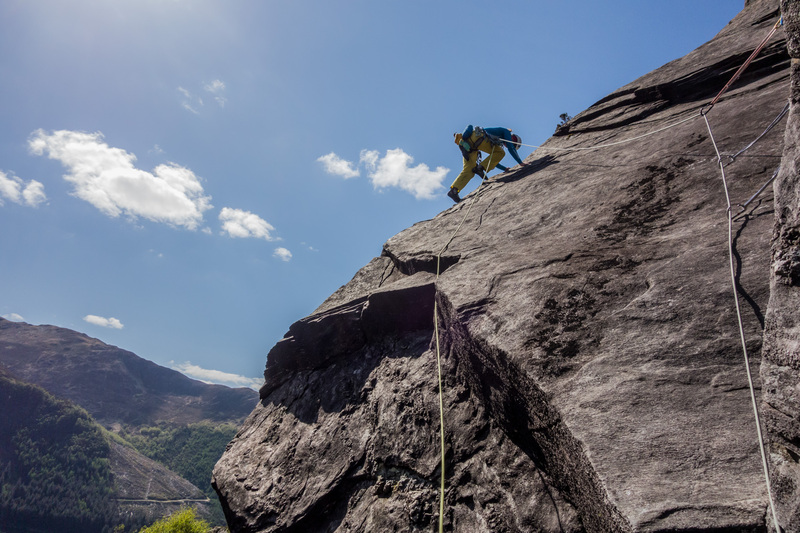 Pitch 1 is shared with the arch-classic Storm (HVS) which we climbed a few years ago but is still firmly imprinted in the memory, highly recommended! 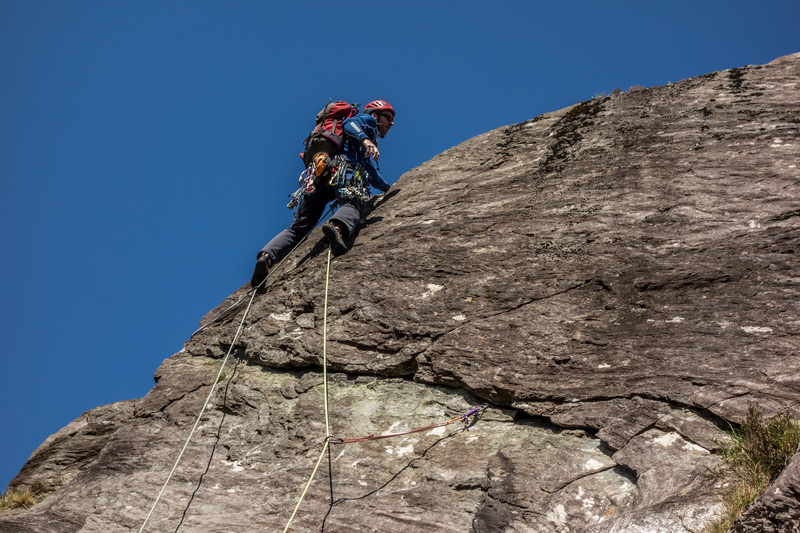 After Heatwave we headed further up the hillside to Secretaries Buttress gunning for an ascent of the notorious Super Direct (HVS). Knowing well its reputation we thought it prudent to get our eye in on the easier Secretaries Direct Route (S) first. This turned out to be fantastic with climbing up corners, cracks and slabs and a number of friction moves. 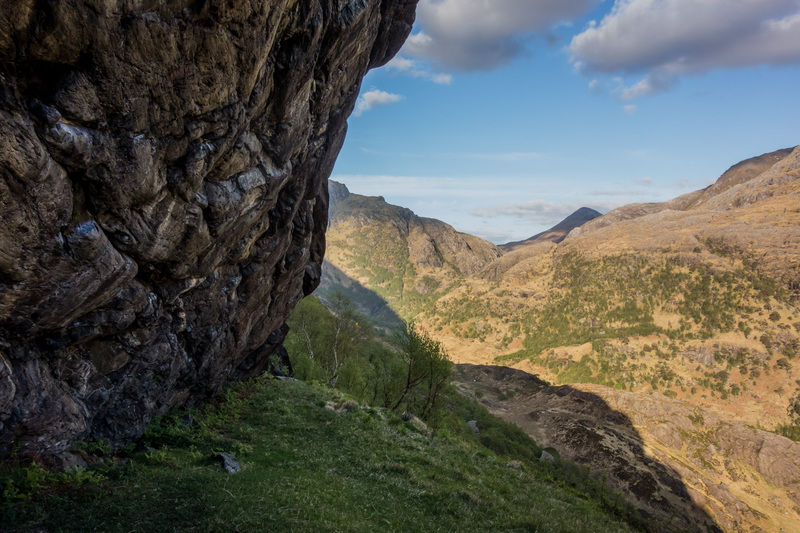 A slight detour allowed us a cheeky top-rope of the gearless 5b slab, Twitch (E1), which succumbed easily enough but left us both totally bemused – how can a sustained, 5b effective solo be E1? In hindsight Twitch should have given us a bit of clue about what to expect on the Super Direct. Debs cruised the first pitch to belay below and left of the overlap at the start of the crux. 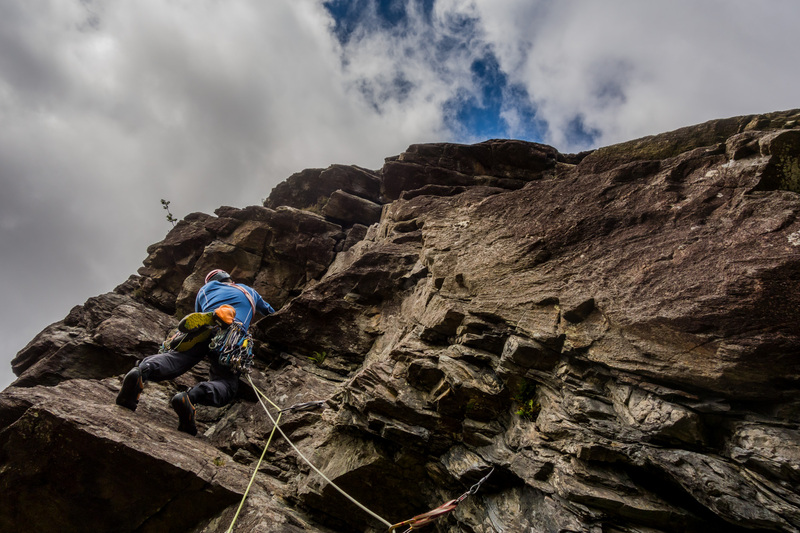 Placing the cams in the waffer-thin flakes above the overlap I was not exactly happy – I envisaged falling from the thin moves way above the cams, blowing them and the flake, before tumbling down the slabs below to finally swing around the side of the buttress! With escape an easy option, we did just that. 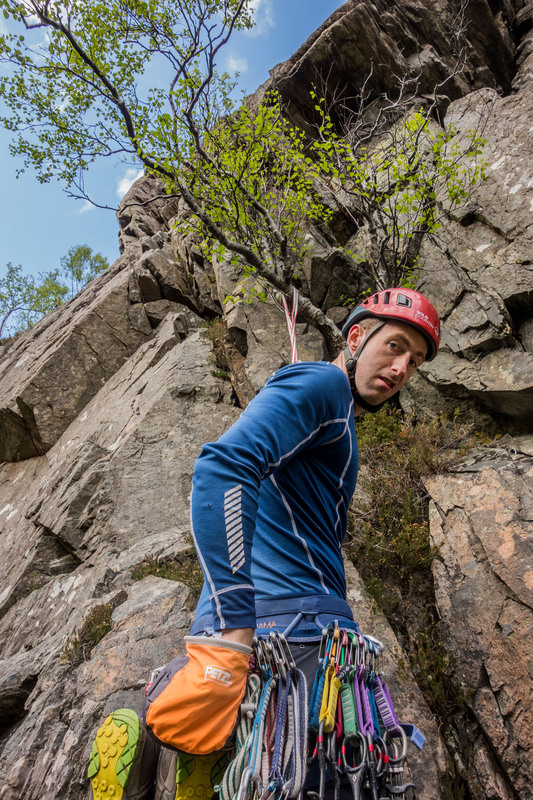 The face says it all – steep, vegetated and loose crack climbing is followed by a squeeze-chimney on the worryingly named Cervix. A surprisingly worthwhile route! 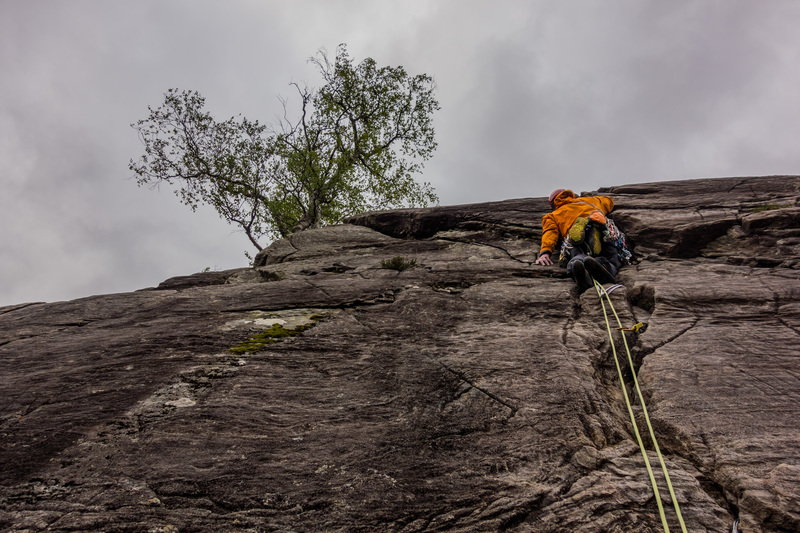 Autobahn’ was fairly disappointing in the end with exceptionally bold yet easy lichenous slab climbing, although we admittedly didn’t climb the lower pitches. 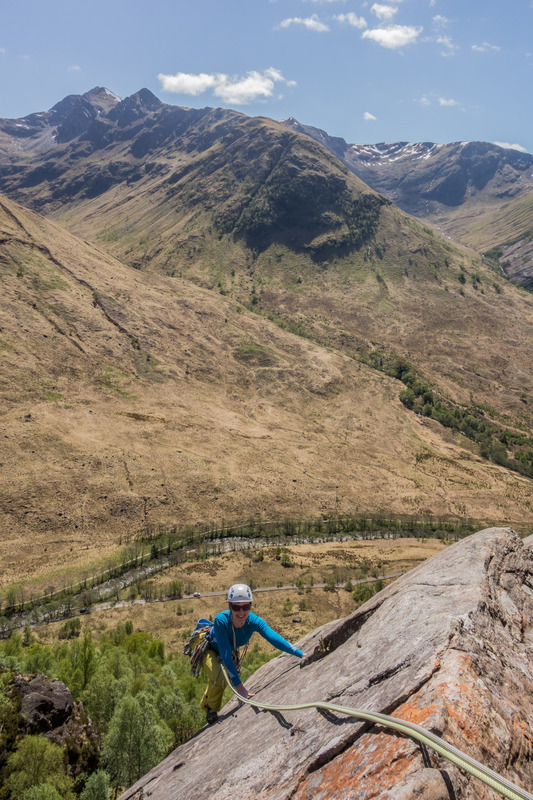 A trip to Polldubh wouldn’t be complete without climbing the classic VS’s on Styx Buttress – both Resurrection and Damnation providing the highlights of the weekend. Brilliant slab climbing on Resurrection gradually morphs into a corner before the angle kicks up to a spectacular steep finish. Damnation is much more a route of two halves with steep climbing and an outrageous roof leading abruptly to a delicate slab finale. 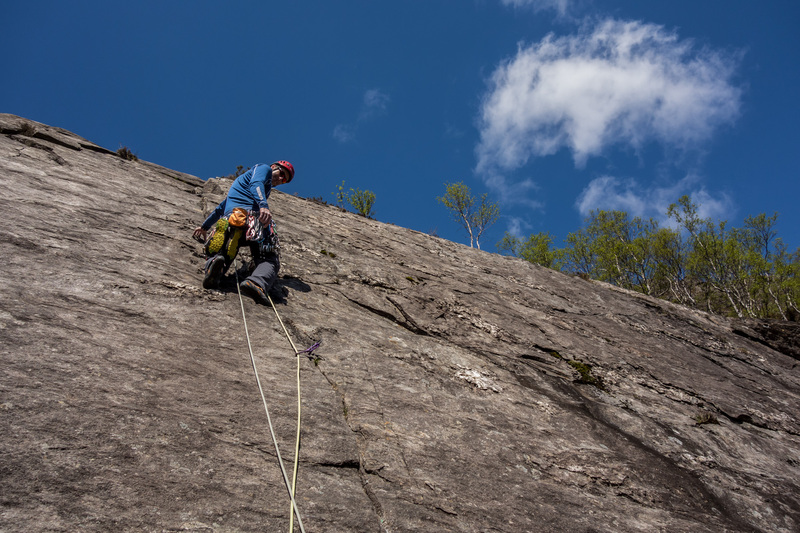 Our final route on Styx Buttress was a less-travelled line called Fidelity (VS). The initial groove gave quite serious climbing with some loose rock, before the route opens out and heads direct up a clean slabby shield. The crux was thought-provoking on tenuous technical grass! 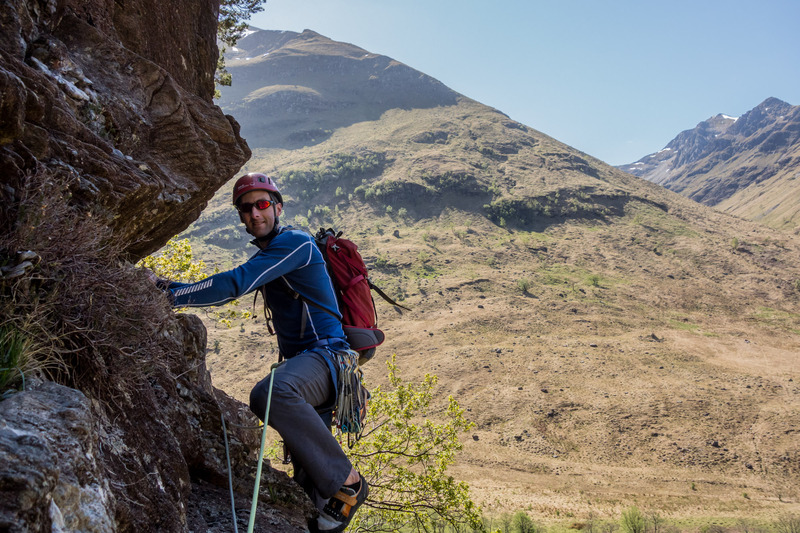 We finished up with the popular Tear before scampering down and heading back to the East coast, tired but satisfied and well impressed with Polldubh – we shall be back!